Suit Up For Quinceañera Celebrations! Although the quinceanera celebration is all about the girl, the boys showing up at the party have to match the girls in dressing. Especially when they are included in her court. Guys, you can’t just turn up at the most important event of your lady friend’s life yet in a pair jeans and t-shirt. You need a suit. Get yourself suited up and do your part in making that day special for her. In many quinceaneras (quince, for short) there is a court of honor who accompanies the girl of honor alongside her parents and godparents. This group often consists of around 14 boys and girls of the party recipients choosing, half boys and half girls (chamberlanes and damas, respectfully). These boys and girls are expected to dress appropriately ( suits and ties or tuxedos for the boys, prom-style dresses for the girls). Male and female guests are often expected to dress as they would to a wedding and usually in pastel colors. As with weddings, guest probably shouldn’t assume tuxedo . Feel free to ask the parents or the quince girl what the dress code is and plan accordingly. When in doubt, boys; wear a nice suit. Since a quince usually features a mass service you should at least plan on dressing as you would at a special church service if a dress code is not established. Once the church service is over it’s usually appropriate to remove the suit jacket and maybe even the tie. It’s wise to keep accessories to a minimum so as not to draw attention away from the quince girl (this goes for guess and members of the court). What to wear to a quinceanera? Still unsure as to what level of dress to wear? 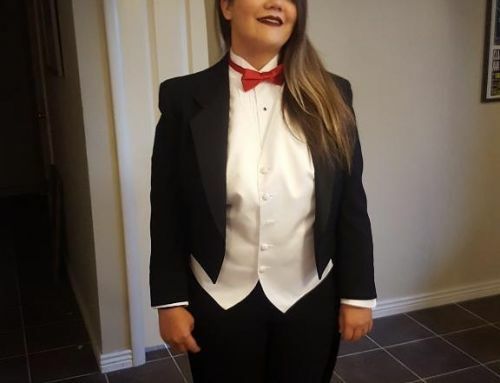 If you’re closely related to the girl you should keep it a little more formal (so definitely a suit and tie) if you’re a close friend but not in the court you may still want to wear a suit. If you’re a friend-of-a-friend, not a close friend, a distant relative, or a guest of a family member you can probably tone it down a few notches but slacks and a nice shirt never hurts. Some quinceaneras may feature the men wearing vaquero gear, including cowboy-styled gear (jeans, shirt, boots, and large buckle) for a sense of tradition. If you don’t own this gear and you are made aware that people are choosing that, don’t panic. If you’re not a close family member the theme isn’t as important for you to attempt to match. Some men go in a full suit and tie, others opt for slacks and a buttoned shirt, others go for slacks, a collared shirt, and a nice sweater. It’s important to look nice because if everyone showed up in jeans and a t-shirt it could upset the quince girl and her family. Individuals not adhering to dress expectations can be accused of not taking the event seriously, not caring about the girl, or others things you don’t want people to accuse you of. Being slightly over dressed is better than severely under-dressed. Whether you are part of the court or a guest, you will need a suit for the party. 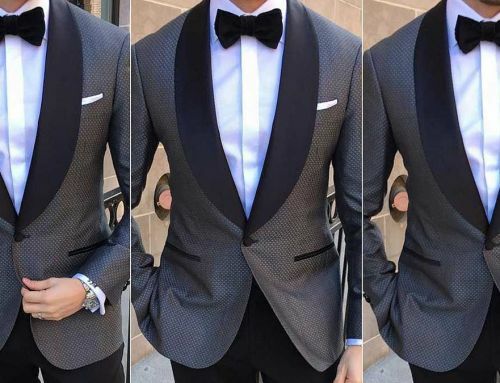 You can get yourself the perfect suit for the occasion from Rose Tuxedo . Remember bro, she’s 15 only once, you don’t get a second chance at making that day a memorable day in her life.